Volkswagen has announced that production of the Tiguan, their upcoming SUV in India has started at their plant in Aurangabad. The Tiguan, which is the segment best-seller in the European market is probably one of the most awaited Indian launches in 2017. 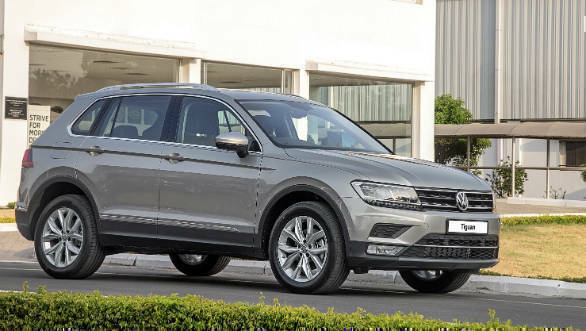 Based on the MQB platform, the Tiguan will mark Volkswagen's re-entry in the SUV segment of the Indian market, which is very important for them, as it extends their product portfolio. We had first driven the Volkswagen Tiguan shortly after it was first displayed to the Indian market at the 2016 Indian Auto Expo. The Tiguan is now in its second generation globally, which is 50kg lighter than the previous generation because of the new platform. The SUV also is one of the safest out there, as it scored a 5-star safety rating in the Euro NCAP tests. The India-spec Tiguan is powered by a 2.0-litre TDI engine producing 150PS and 340Nm, mated to a 7-speed dual clutch DSG transmission which we drove and were impressed by the smooth power delivery. 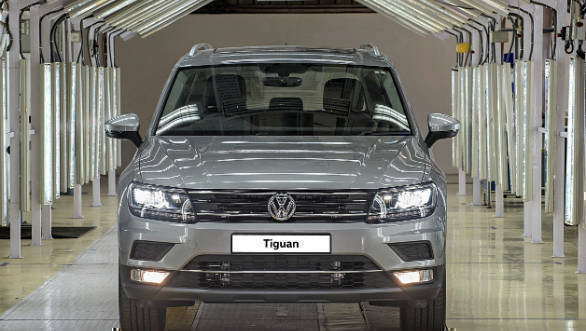 The Tiguan will be brought in as CKD kits and assembled at the Volkswagen plant. The launch of the Tiguan is an Important one, because alongside extending Volkswagen's portfolio in India, its launch here also proves how important our market is, for Volkswagen. Volkswagen has been launching its global products in the Indian market with the most recent launch being that of the Polo GTI. The launch of the Tiguan in India was touted to be in the first quarter in India, and with the start of its production, it is safe to say that it is around the corner.